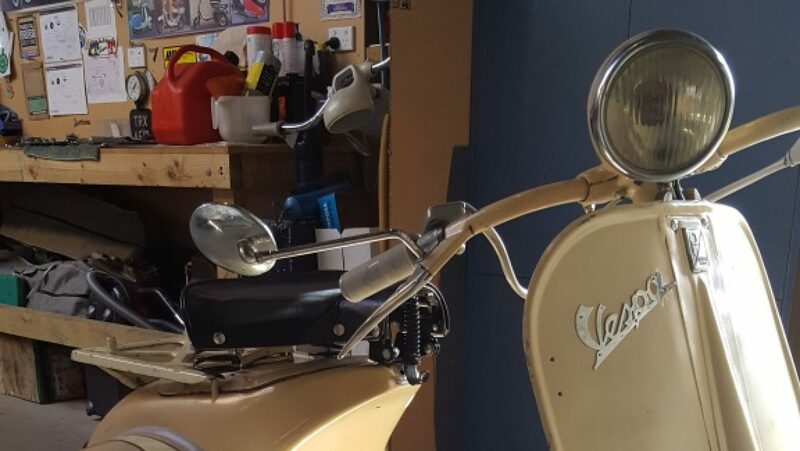 Things have been a bit slow on the scooter front over the last year with one thing and another. The MotoTT 2019 is fast approaching and the Bajaj is getting some much needed love for the event. The last time out, on this event in 2017, the scooter started spitting out spark plugs and finished with a damaged front axle, no front brakes and the speedo stopped working. It has been sitting for 2 years waiting for some attention. The original engine has now done 3 Moto events with a lot of kms between and will be rebuilt as time permits. The purchase and rebuild of another PX 200 engine with a Polini 210 cylinder kit has been the focus in the last couple of months. The front fork was going to be upgraded with a disc brake but that has now been shelved for another day in favour of just rebuilding the front end. The original 8″ fork was replaced some time ago and a new damper and fork were added for the last Moto. 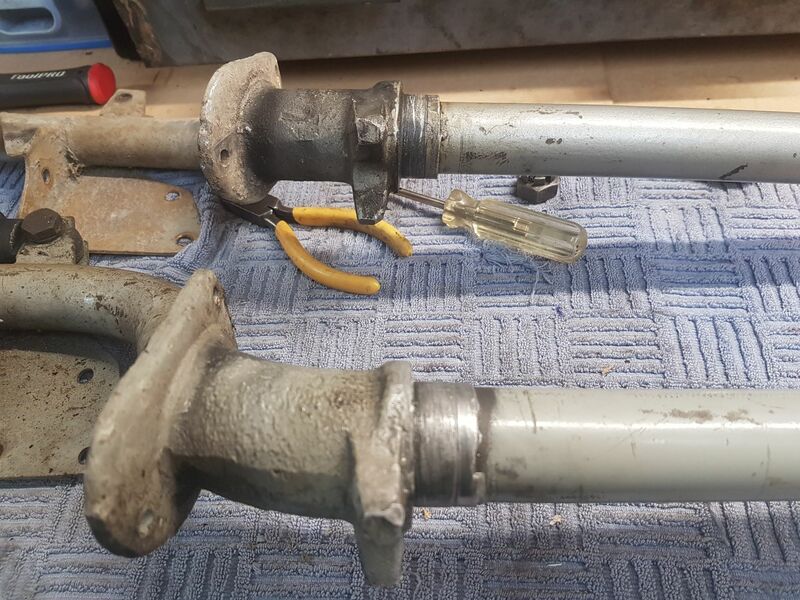 The bottom bearing race on the fork had worn quite badly and the wheel hub and axle were damaged so the first job has been to get that all replaced and installed. One of the sidepods had a small rust issue which was an easy fix with a rust inhibitor and some paint. One of the floor rails had been loose since we purchased the scooter a few years ago and that got some new rivets. There is still some wiring to sort out, exhaust, new carb and rebuild the engine.